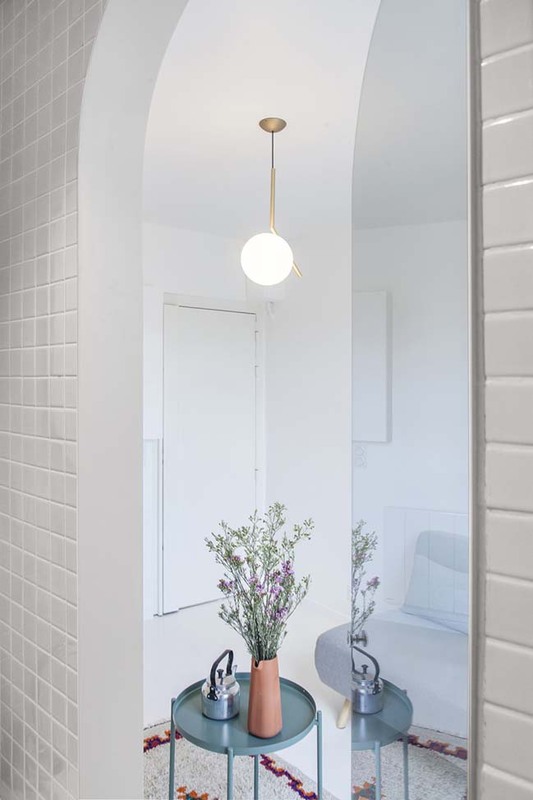 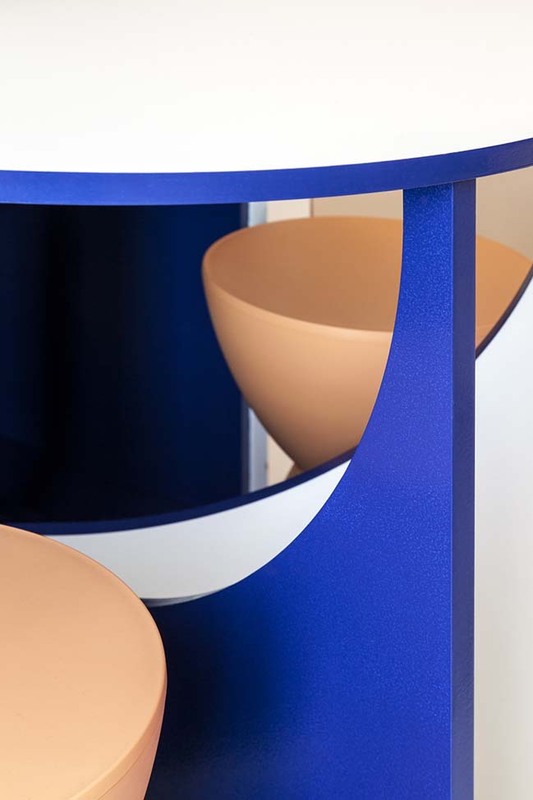 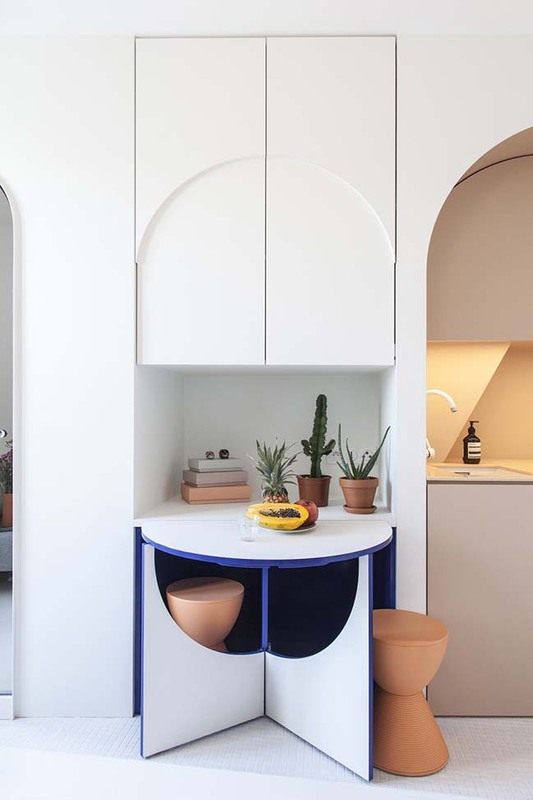 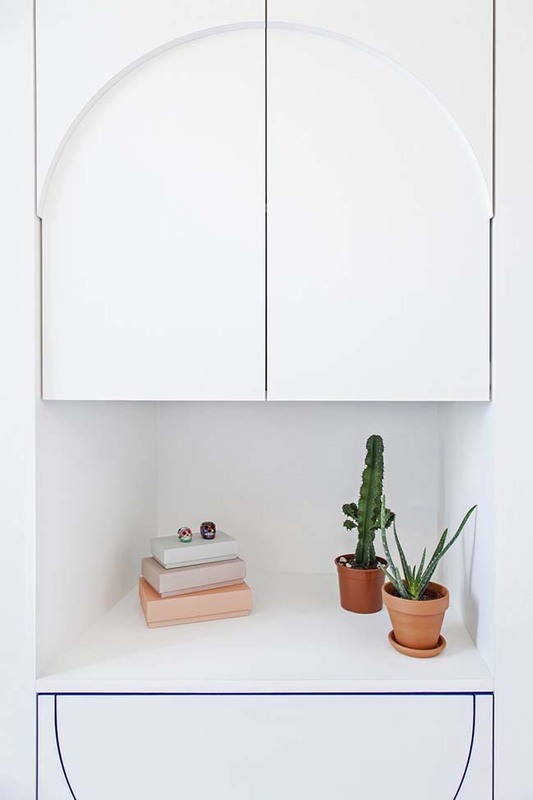 The French firm Batiik Studio designed a tiny house in Paris with arched and sunset-tinted alcoves and a jolt of oceanic cobalt blue peeking through a built-in wall. 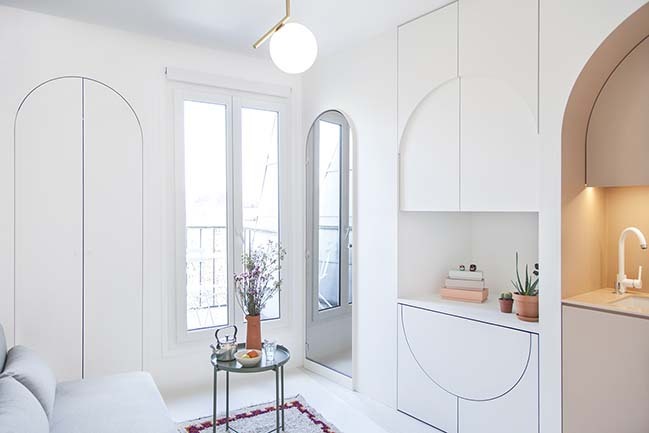 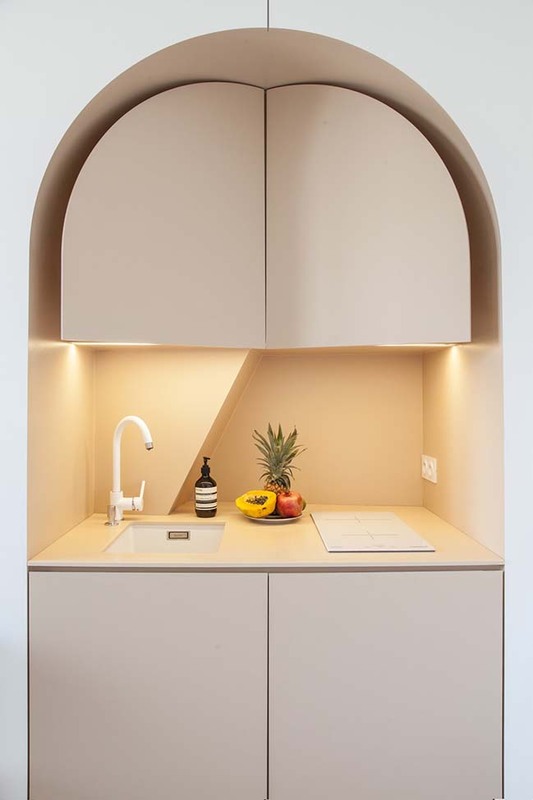 From the architect: When the apartment's owners approached Rebecca Benichou, the principal at Batiik Studio, about transforming this former maid's quarter into a short-term rental to host via Airbnb, Benichou took inspiration from Morocco before Greece—"but nobody can see that," she adds with a laugh. 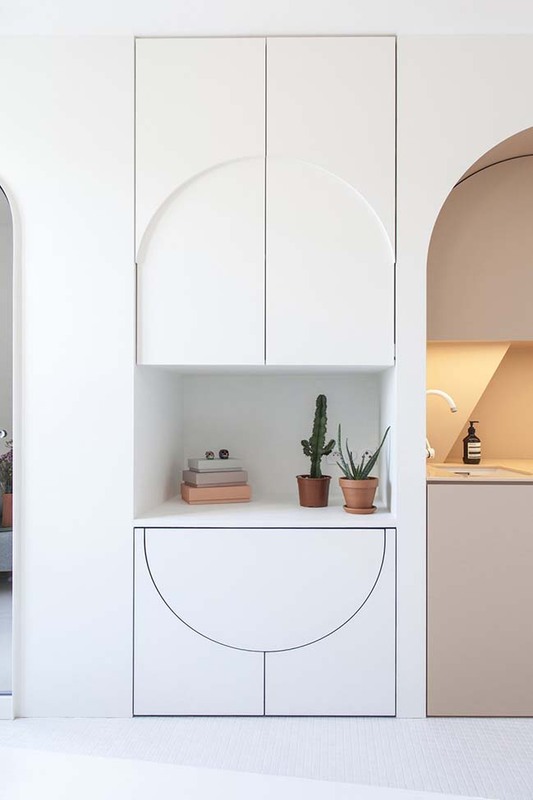 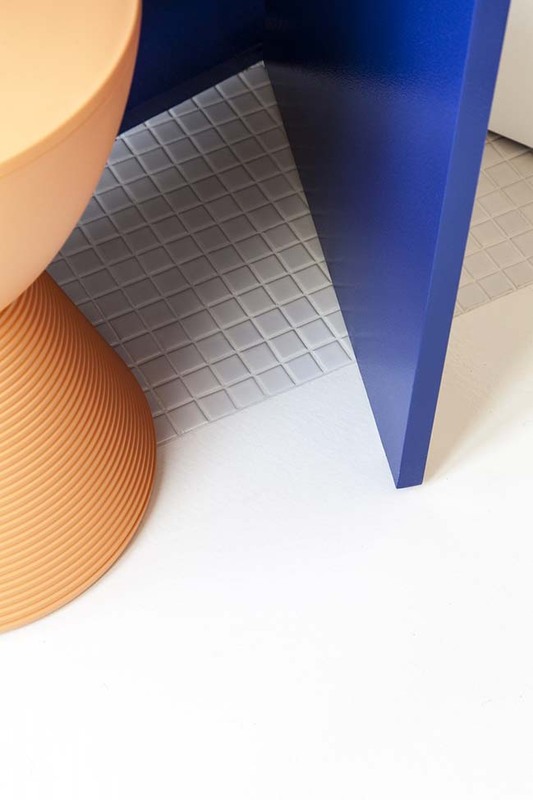 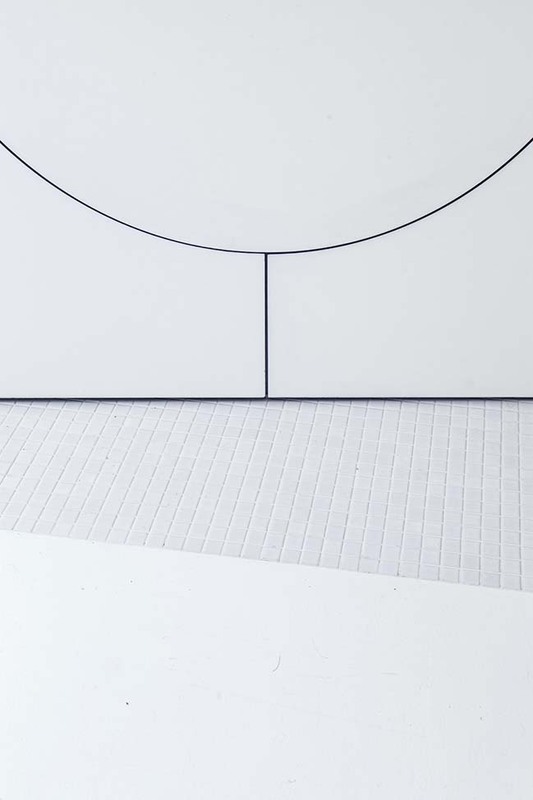 She and her collaborator, Sarah Chayeb, were tasked with choosing a design that stood out amid the other endless rental options in the popular city, without being too "risky" with the look. 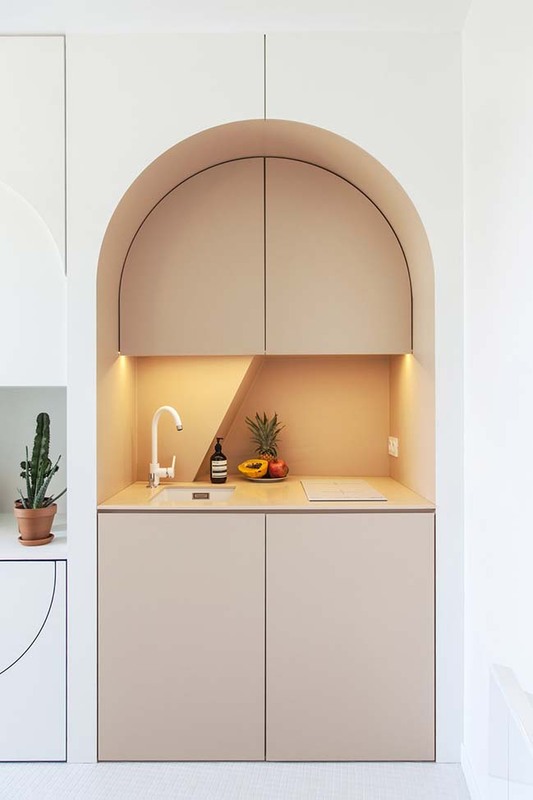 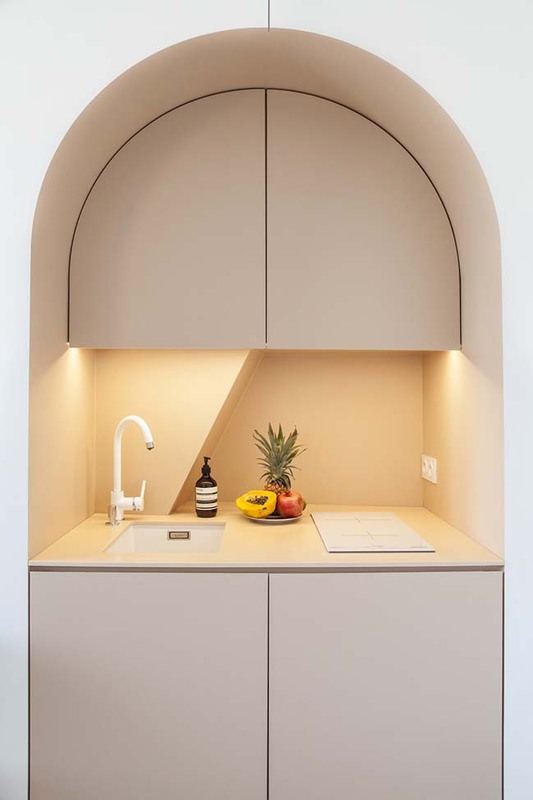 They decided on a muted color scheme—crisp white for most of the walls and a pale terra-cotta to delineate the built-in kitchenette, plus that aforementioned bold-but-mostly-hidden blue—and a trio of built-out arches to house the most functional components of the space. 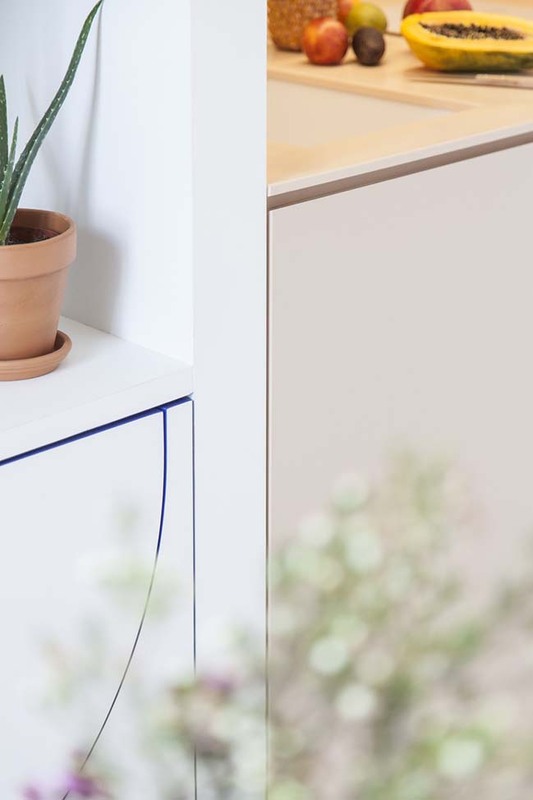 A futon plays living room and bedroom anchor in one, while a sage green IKEA side table plays the same coffee table-to-nightstand game.